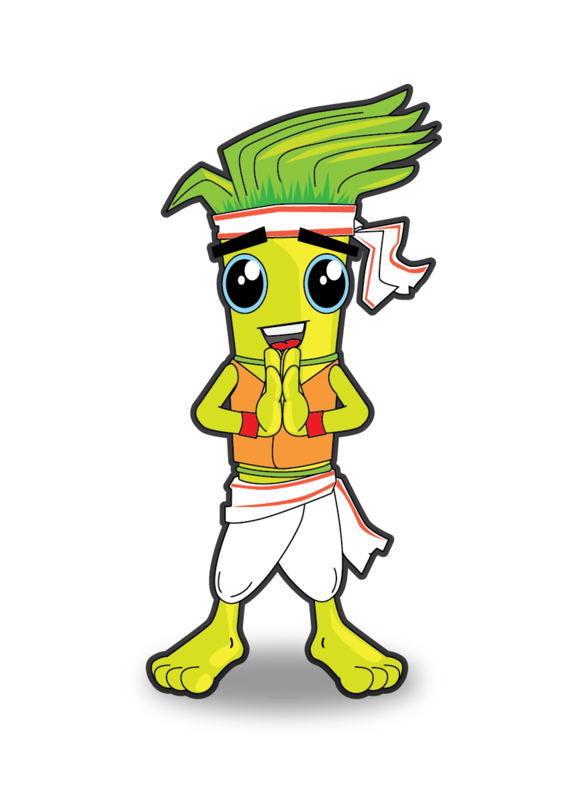 'Bhaiti' is the first ever mascot to be introduced in the history of Inter IIT Sports Meet. Inspired from the slender yet strong bamboo, Bhaiti is young, energetic and jovial and is ever ready to play along any game and enjoys them. Bhaiti is wearing a Dhoti, Gomocha (Towel) and Shirt traditional to the Assamese men during the Bihu Celebrations. The word in Assamese for 'Younger Brother' or 'Loving Brother'. The word is even used to address strangers whom one meet for the first time especially among peers and start a conversation. Creator : Thomas G. Manih(M. Des) & the Design Team under the guidance of Dr. D. Udaya Kumar.